Not long ago, a study conducted by North Carolina researchers found that insects and spiders exist within all homes. While failing to keep sanitary living conditions will most certainly attract unwanted bugs, the study found that even the most immaculate homes contained sizable arthropod populations. Considering the results of this study, it is no wonder why insect and spider infestations within homes are so common. The term, “insect infestation” conjures up images of unsightly cockroaches, relentless bed bugs, and ant swarms that seem to come out of nowhere. 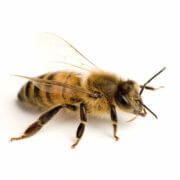 But honey bees are not normally associated with insect infestations within homes. However, bee colonies often become overcrowded during the mid to late summer season. When this occurs, a sizable population of bees will ditch an overcrowded colony in order to establish a new nesting site elsewhere. Unfortunately, these temporarily homeless bees sometimes take up residence within the attics or behind the walls of residential homes. For example, a resident of Spring discovered that she had an infestation consisting of 50,000 honey bees hidden above her ceiling and behind the walls of her home. The woman did not notice any signs of her numerous honey bee roommates until honey started to literally drip down the sides of her walls, turning her house into a honey pot. After hiring workers to renovate her roof, Latanja Lavine was told that honey bees had been swarming out of a hole on her roof, and work could not begin until the bees were no longer deemed a threat to the construction crew. Lavine then hired a professional to plug the hole, at which point the construction crew began renovations. Within a day, Lavine could not help but to notice massive amounts of honey dripping down her walls where it formed puddles on her floor. While Lavine struggled to mop the sticky substance off of the floor, a pest control crew smoked the honey bee colony out, which consisted of approximately 50,000 honey bees. According to Lavine, the bees had been swarming everywhere, and the pest controllers were unable to locate the queen, indicating that a new colony could take form within her home in the future, but nobody has heard from Lavine since. Have you ever found one or more bees within your home? 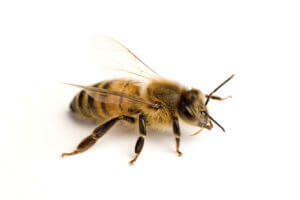 Africanized honey bees are commonly referred to as “killer bees” and they have maintained an invasive presence within the United States for thirty years. There is a great deal of confusion concerning where in the United States killer bees were first discovered. Most publications and articles claim that killer bees first arrived in the US in 1990 in southeastern Texas, but a few other expert sources claim that killer bees were first discovered in the US in 1985 within southern California oil fields. To be precise, the first established killer bee colonies were discovered in 1990 in Texas. However, the first time individual killer bees were discovered in the US occurred in 1985 in California. While killer bees certainly reached the US during the 1980s, 1990 is the earliest known year in which killer bees had established an invasive presence within the US, as their colonies were found in Texas during this year. During the first decade after the killer bees were introduced into the US, the bees were largely limited to southern California, Arizona and Texas. Now, killer bees have spread to 12 states, and this number will continue to increase. Considering that Texas is where the first killer bee colonies were found 30 years ago, it is not surprising that this aggressive and potentially deadly bee species still poses a significant public health threat to residents in the state to this day. During April of 2018, killer bee colonies comprised of millions of individual bees swarmed the entire town of El Paso. 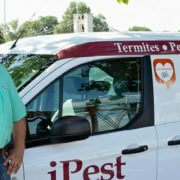 Unfortunately, it did not take long for homes in the El Paso area to become heavily infested with the aptly named bees. A bee specialist in the city claimed that one particular resident, Elvia Murphy, may have had millions of killer bees infesting her home. Elvia noticed the bee presence behind the walls of her home three years ago, but now, the killer bee colony in her home has grown to threatening proportions. Bee specialists have attempted to remove killer bees from homes all over El Paso, but the results of these efforts proved to be largely worthless, as several specialists, and even a news reporter, sustained stings before giving up on their control strategy. Have you ever found a bee nest that you thought belonged to killer bees? Africanized honey bees, or killer bees, pose a significant public health threat in South America, Central America, Mexico and the southwest United States. In the country of Brazil, where American killer bee populations originated over 70 years ago, nearly 14,000 killer bee incidents occurred during 2015, of these incidents, 39 human deaths were recorded. The toxins that are present within killer bee venom can lead to a host of severe medical conditions, many of which are life threatening. Killer bee venom is unique in that it causes sting victims to sometimes develop lesions on their internal organs. For example, a 13 year old developed a condition that entails the rapid breakdown of skeletal muscle fibers in response to sustaining 700 stings from killer bees. The toxic effects of killer bee venom can cause multiple organ dysfunction and even failure in people who sustain numerous stings. Although all honey bee venom has the potential to cause this effect if doses are high enough, Africanized honey bee stings are almost always the cause of multiorgan dysfunction in sting victims. After falling victim to a swarm of killer bees, the 13 year old boy developed intense swelling in his upper body. Tests showed that the boy developed a life-threatening condition known as “rhabdomyolysis” in response to the numerous stings that he sustained. This condition sees the rapid breakdown of muscle fibers, and consequently, the dead muscle debris makes its way into the bloodstream, often resulting in interrupted kidney and liver functioning or possible kidney or liver failure. This condition was also documented in 5 people who sustained numerous Africanized bee stings in Brazil. Despite receiving aggressive multi-drug treatments, three of the five patients died nearly 24 hours after sustaining the stings. Unfortunately, there does not yet exist any reliable antivenom or specific therapy to address massive envenomations by killer bees. Do you actively fear falling victim to Africanized bee attacks? How Many Bee Stings Does It Take To Kill A Human? And What Is The Record For The Highest Number Of Bee Stings Sustained By An Individual? The number of bee stings that can be sustained before dying from an allergic reaction to the venom or from the toxic effects of venom vary significantly depending on the individual. People who have an allergy to insect venom can die from anaphylactic shock from just one single bee sting. However, an adult that does not have an allergy to insect venom can sustain hundreds or even thousands of stings without dying from the venom’s toxic effects. Amazingly, one man survived a total of 1,200 bee stings in Texas a few years back while another adult male died after sustaining a mere 98 stings. Obviously, neither one of these men were allergic to insect venom, but the significant disparity between the number of bites each man sustained illustrates how the effects of insect venom vary from person to person. While it may seem impossible to survive thousands of bee stings, it should be known that the above described bee attack survivor was 65 years old when he sustained 1,200 bee stings, and the Guinness Book of World Records describes a man who survived more than twice as many bee stings as the 65 year old. Back in 1962, Johann Relleke survived a bee attack that saw 2,443 stingers removed from his body. Surviving more bee stings than this is certainly not likely, as one recent bee attack victim who did not have a venom allergy died almost immediately after sustaining 3,000 bee stings. According to the Merck Manual, a human can sustain 10 bee stings for each pound of body weight. Therefore, the average adult should be able to survive around 1,000 bee stings, while a child could survive 500. The data concerning the greatest number of bee stings sustained by a victim that died, is not easy to find, but the number would be very high. One bee attack incident in Arizona five years ago saw the victim sustain 800,000 stings. The bee culprits in this case were Africanized honey bees, which are responsible for several attacks on humans in Arizona each year. Do you have a fear of bee or wasp stings? 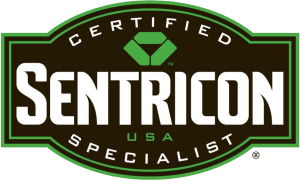 https://www.wacopest.com/wp-content/uploads/2018/07/02-2.jpg 430 1500 John https://www.wacopest.com/wp-content/uploads/2018/04/ipest-solutions-logo.png John2019-02-06 01:49:262019-02-04 12:50:38How Many Bee Stings Does It Take To Kill A Human? Having a baby is normally not a decision that women make lightly. While many important and meaningful events will occur within any woman’s life, many women claim that having a baby is the most significant and joyous event of all. This is certainly understandable, as bringing another human being into this world is not a trivial matter. In order to celebrate an expectant baby, western cultures often hold baby showers, and it is not uncommon for pregnant women to have professional maternity photos taken in order to memorialize their child’s prenatal life. All maternity photos feature the expecting mother’s baby bump along with other details that reveal certain aspects of the mother’s character. These personal aspects are often expressed in the expecting mother’s choice of attire. For example, some mothers may choose to dress in clothes that will seem aesthetically pleasing to their newborns, while other mothers may dress as Wonder Woman in order to express their enthusiasm for cosplay. One particular pregnant woman has recently taken part in a Cleopatra-themed maternity photo shoot. In addition to dressing like the ancient Egyption ruler, this woman posed with thousands of bees that covered various parts of her body. Emily Mueller is a 34 year old expecting mother who chose to pose with 16,000 bees for her maternity photos. This sounds dangerous, but most people will be relieved to learn that Mueller is a practicing beekeeper. However, after Mueller’s first shoot, she sustained a sting on her eye from one of the 16,000 bees. Therefore, Mueller chose to lower the number of bees to 12,000 for her second shoot…you know, just to be safe. Mueller chose a bee-themed photo shoot in order to celebrate the success of her beekeeping company. 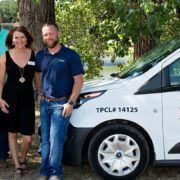 Last year, Mueller and her husband, Ryan, founded Mueller Honey Bee Rescue. Mueller also chose to pose with bees due to the positive public response that her last bee-themed maternity photos generated. Last September, Mueller posed for a photo that featured 20,000 live bees on her bare belly while she was several months pregnant with her previous child. For the latest maternity photos, Mueller’s body is spray painted gold to resemble Cleopatra, but instead of wearing a wig, she used live bees to stand in for her hair. In order to coax the bees into landing on her head, Mueller first positioned a queen bee on her scalp and then proceeded to wait until the rest of the colony surrounded the queen. Mueller used this same tactic in order to collect bees on other parts of her body. Do you think that even a professional beekeeper is being reckless by posing with live bees while pregnant? https://www.wacopest.com/wp-content/uploads/2018/04/ipest-solutions-logo.png 0 0 John https://www.wacopest.com/wp-content/uploads/2018/04/ipest-solutions-logo.png John2018-09-25 02:21:432018-10-10 06:04:46Woman Is Choosing To Cover Herself In Thousands Of Live Bees For Her Maternity Photos? 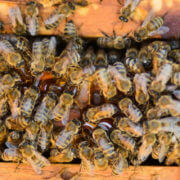 Everyone has heard of killer bees, or as they are also known, Africanized honey bees. While bees do possess stingers that can deal out painful stings as a result of their toxic venom, very few bee species demonstrate aggressive behavior toward humans. Typically it takes effort to provoke a bee into stinging a person. Killer bees happen to be one exception to this general rule, as they will not hesitate to swarm individuals before dealing out stings. Every year fatalities in the United States result from killer bee attacks. Despite their well known tendency toward aggressive behavior, scientists have traditionally been in the dark concerning the reasons for this aggression. However, Brazilian researchers have just discovered a bodily chemical that is responsible for putting the “killer” into killer bees. In addition to discovering the bodily chemical responsible for the aggression demonstrated by killer bees, researchers learned that this chemical can also cause aggressive behaviors in normal honey bees after they are administered the chemical. According to a study published in Journal of Proteome Research the chemical that makes killer bees aggressive is produced in the bodies of many different animal species, such as flies and mice. However, when it comes to flies, mice and many other animals, the aggressive chemical seems to regulate food intake and hunger more so than aggression levels. The researchers discovered that the chemical in question is a type of neurohormone that is produced in the brain. In many animals, neurohormones are responsible for regulating social behavior. Neurohormones are kicked into action by neuropeptide precursors. Young bee workers that belong to the killer bee species do not demonstrate aggressive behavior until they mature. This is due to the fact that the neuropeptides within the bodies of young killer bee workers have yet to develop to the point where they can facilitate specific neurological functions, in this case aggression. Once a killer bee reaches 15 to 20 days of age, it will develop into an aggressive creature. Do you think that this “aggression chemical” is found in human brains as well as bee brains? Just about any animal, no matter how primitive, can be trained to do certain things. You may assume that insects are too simple to be effectively trained, but you would be wrong. Surprisingly, it is not too difficult to train an insect by resorting to classical conditioning. Back in 1988, two entomologists, Joe Lewis and Jim Tumlinson, joined a study that proved insects can learn through association. At the time, this study was a big deal, as most scientists were unsure as to whether or not insects could learn from humans. This study was only the beginning of a long effort to militarize certain insect species. Since the 1988 study, the Defense Advanced Research Projects Agency (DARPA) has been interested in mastering insect training. The Insect Sensor Project, like DARPA, also became interested in how trained insects can be of benefit to the US military. These two government entities, as well as many others, have come a long way in the field of insect training. In fact, experts have recently trained bees to sniff out landmines in Croatia. This is pretty advanced behavior for a bee, but any insect can, theoretically, learn through conditioning. Not long ago, researchers successfully trained wasps to associate certain odors with certain prey animals. Amazingly, it took researchers less than five minutes to train the wasps. Bees also have powerful olfactory senses that can be manipulated for the benefit of humanity. When it comes to using animals to sniff out particular odors, most people think of dogs, but a bee’s olfactory sense is thousands of times more powerful than a humans. This puts bees on the same level as dogs when it comes sniffing out particular odors. Recently, researchers taught bees to associate the smell of their favorite foods with explosive landmines. This may seem like a strange thing to do, but the bees have been great at tracking down old landmines throughout eastern Europe. Do you think that bees can be more effective than dogs when it comes to tracking down certain odors?